Installing the Thru Add-In (Connector) for Outlook. 1. Click Expiration Date on the toolbar. 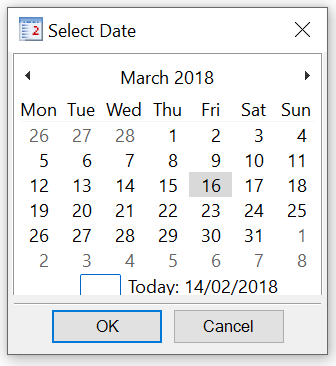 The Select Date window opens. 2. 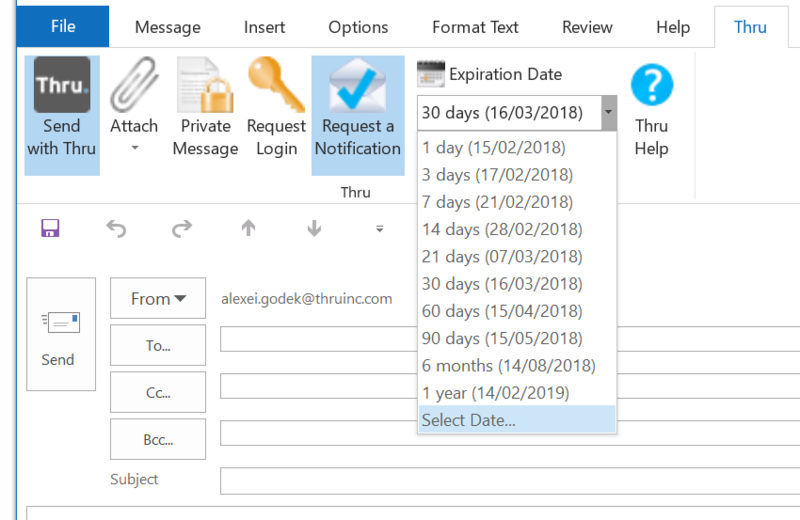 Select the date you want the files to expire from the calendar, and then click OK.
For customer support, please contact us here.